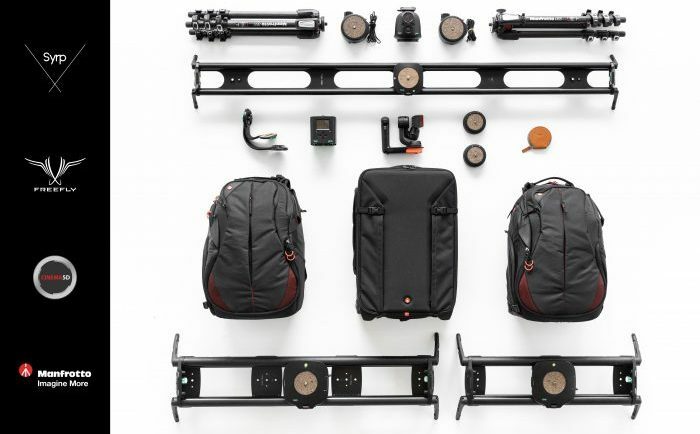 Ozturk has teamed up with Syrp and Cinema5D to gift a couple of their fans with amazing filmmaking gear! To enter in this Renan Ozturk Ultimate Adventure Filmmaking Kit Giveaway grab your free entries by following few simple steps listed down below! A new era of motion control. Genie II Pan Tilt offers full pan tilt control for Timelapse, Video, Panorama and more. Use as a standalone Pan Tilt head or combine with Genie II Linear for the ultimate 3-Axis motion control tool. Unlike other motion controllers that have an L-bracket design, Genie II Pan Tilt can shoot 180 degrees of Tilting motion enabling you to capture more creative angles. Simply Click in Genie II Pan Tilt directly into Genie II Linear for the ultimate 3-Axis Video and Time-lapse motion controller. Bonus entries: Share your referral link with friends to get an additional 200 entries for each person who enters through the link. There will be one winner per week. Announcements will be made on social media. Follow @syrp and @cinema5d to stay tuned.